I’ve had trouble sleeping for years now, so long that sometimes I think I’ve become an expert on being sleepy and cranky. I’ve used so many things to help me get some Z’s that I’ve found are effective, one of them being white noise machines for sleeping. If you’ve ever in your life just HAD to have a fan or air conditioner running so you could sleep, then you know what white noise is. 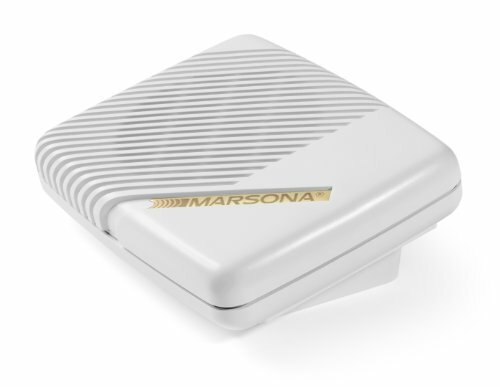 A white noise machine for sleep does the same thing as that fan or air conditioner, but it’s all in one little compact package that comes with extra bonuses. Love hearing the sound of rain falling? How about crickets, or a crackling fire? Nature sounds can also be white noise, and all of these machines allow you to choose what type of white noise will knock you out and have you sleeping like a baby. 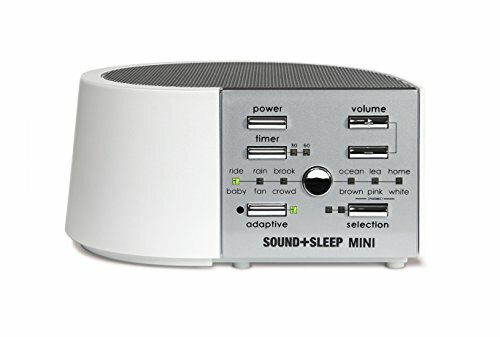 These are an overview of my best picks for natural white noise machines for sleeping. 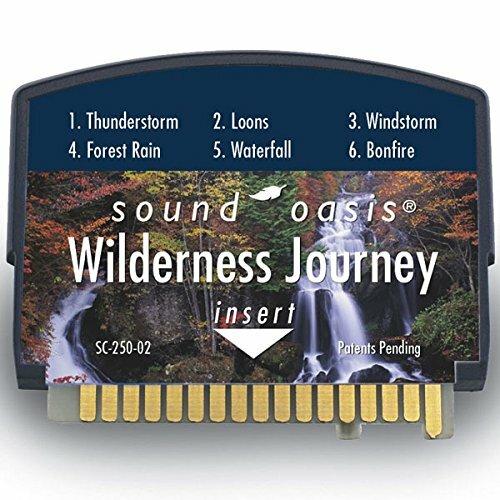 I love the sounds of a falling rainstorm, a babbling brook, and especially a crackling fire because they are just so soothing. 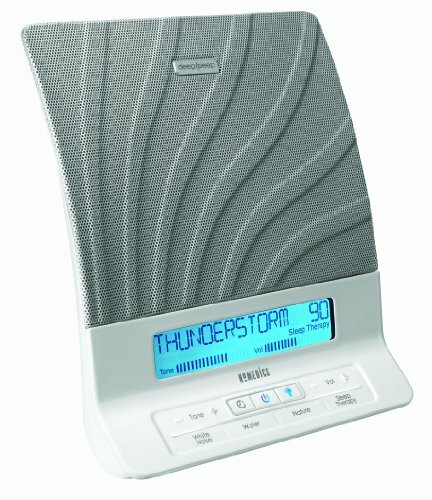 And when I use my sleep machine, rainstorm is what I play all night. 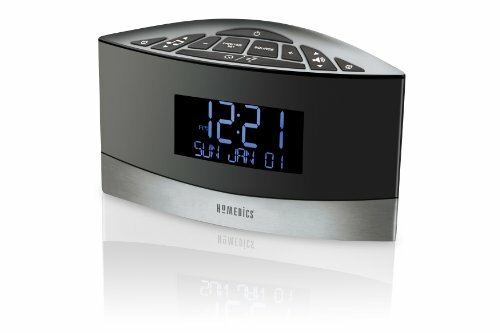 I really like the Ecotones sound and sleep machine because it’s what I would call a smart sleep machine. It actually listens to the room around it, and adjusts its volume to your environment. So if there’s noisy neighbors, road noise, or whatever loud noise, the Ecotones will actually hear outside noise and increase its volume to cover up the sound. I love this feature because it’s usually the sudden loud noises that jerk me out of a deep sleep. Its speakers are high end, and the sound is full and rich. 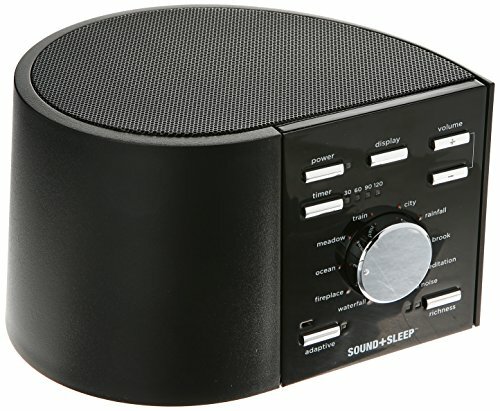 I used a sleep sound machine for about four years, and I wouldn’t use anything that didn’t have a rich, bold sound because they don’t effectively mask outside noises. The Ecotones definitely delivers on sound quality. 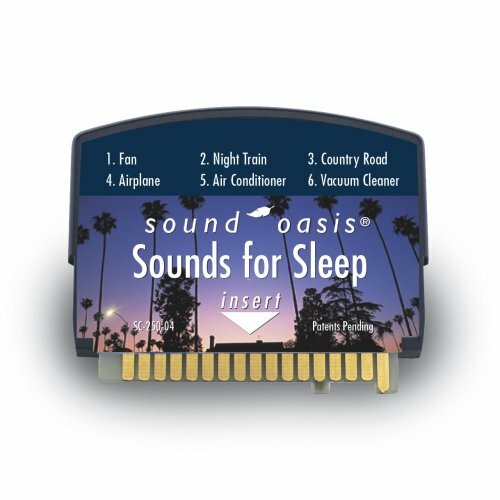 The Ecotones sound sleep machine model ASM 1002 has 10 different sound files to choose from, and play digitally in a way that the sound never loops. It has a 30, 60, 90, or 120 minute timer, but I always set mine to play all night. It’s really hard to get a good night’s sleep when you’re on a trip. I like to travel, but sometimes I hate staying in hotel rooms because they’re loud and just not comfortable to sleep in. Now I won’t leave home without my travel size white noise machine. 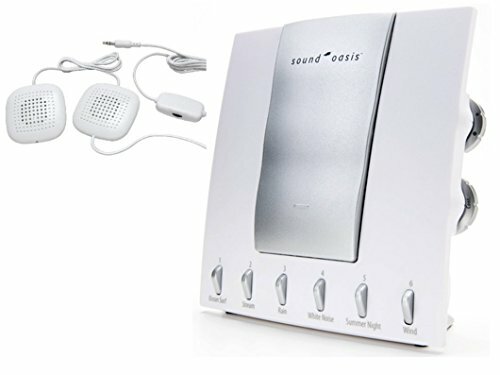 The Sound Oasis sleep sound therapy system has a lot of features that I haven’t been able to find in other sound sleep machines. 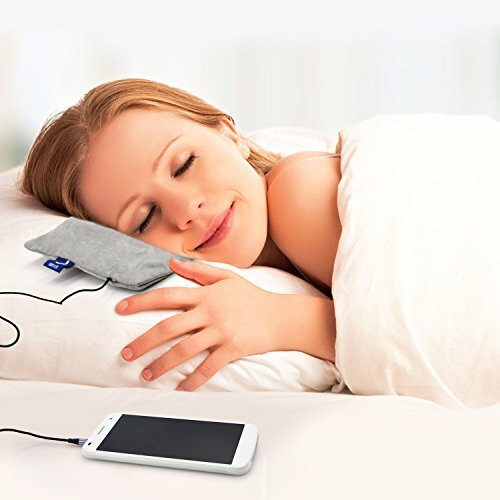 It has pillow speakers, sound card technology, and you can use it with your iPhone or Android phone. This white noise machine is actually on my wish list. I’d used a white noise machine to help me sleep for years up until I got married a year ago. I had to quit using it because the white noise drove my husband nuts. With the sound therapy pillow speakers, I’d be able to use a white noise machine without disturbing my partner. 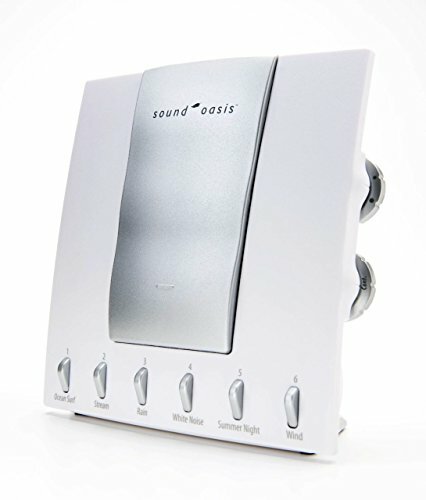 The Sound Oasis sound machine comes with six preset sounds, ocean surf, stream, rain, white noise, summer night and wind. 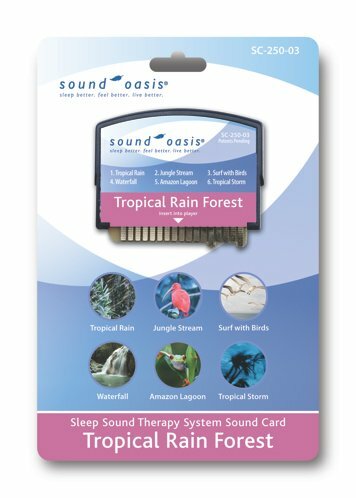 But you can buy additional sounds sleep cards to give you more variety. There’s enough clutter in my house, and I don’t like having a gadget that only has one purpose. That’s why I like sleep machine alarm clocks. 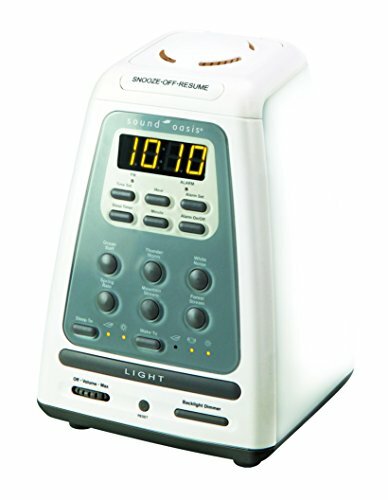 They’re a white noise machine, an alarm clock, and in the case of the Sound Oasis brand, a light therapy machine. 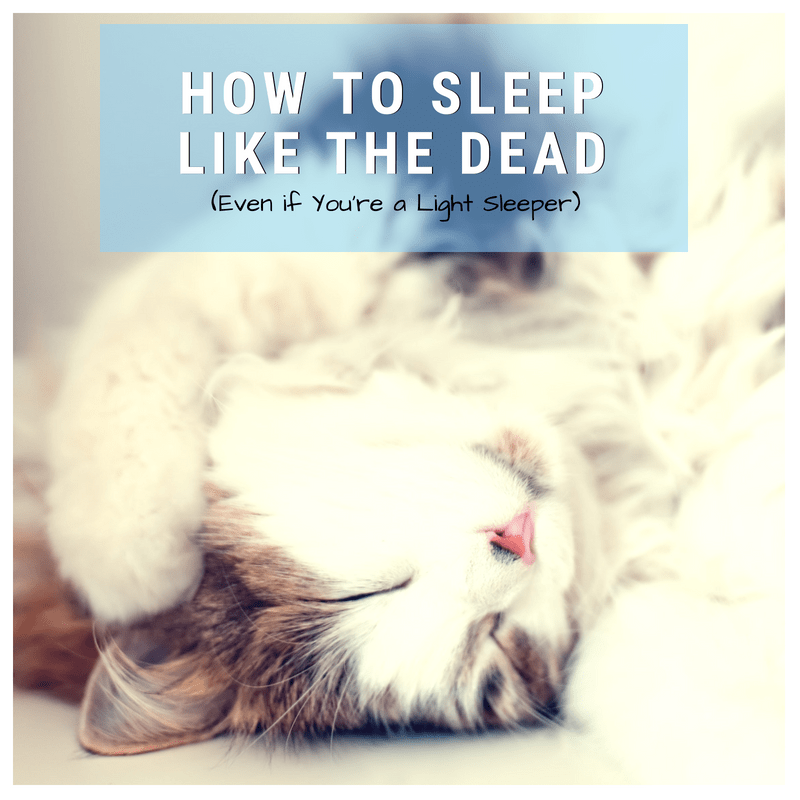 Those of us looking for ways to get to sleep naturally know that being exposed to light is one of the worst things that will keep you up at night, but your body also needs to be exposed to bright light in the morning to balance your sleep/wake cycle. That’s why it’s best to use sunrise simulating alarm clocks. 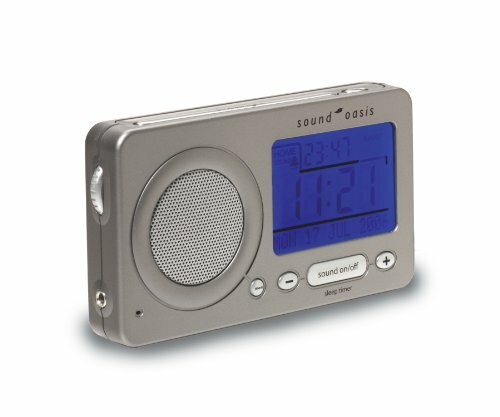 The Sound Oasis therapy alarm clock dims in the evenings and gradually brightens in the mornings, but also plays nature sounds, like chirping birds and rainstorm. 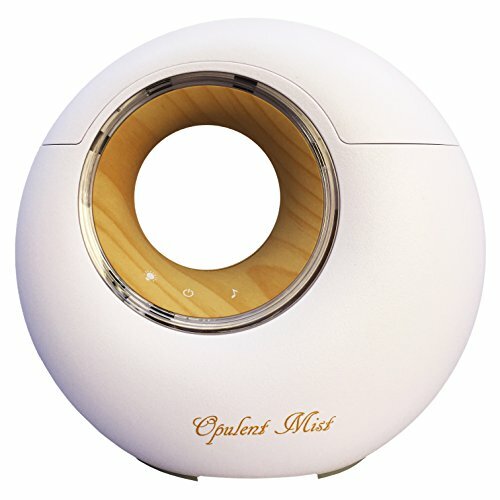 The Quantum aromatherapy and white noise machine is a machine of many talents. 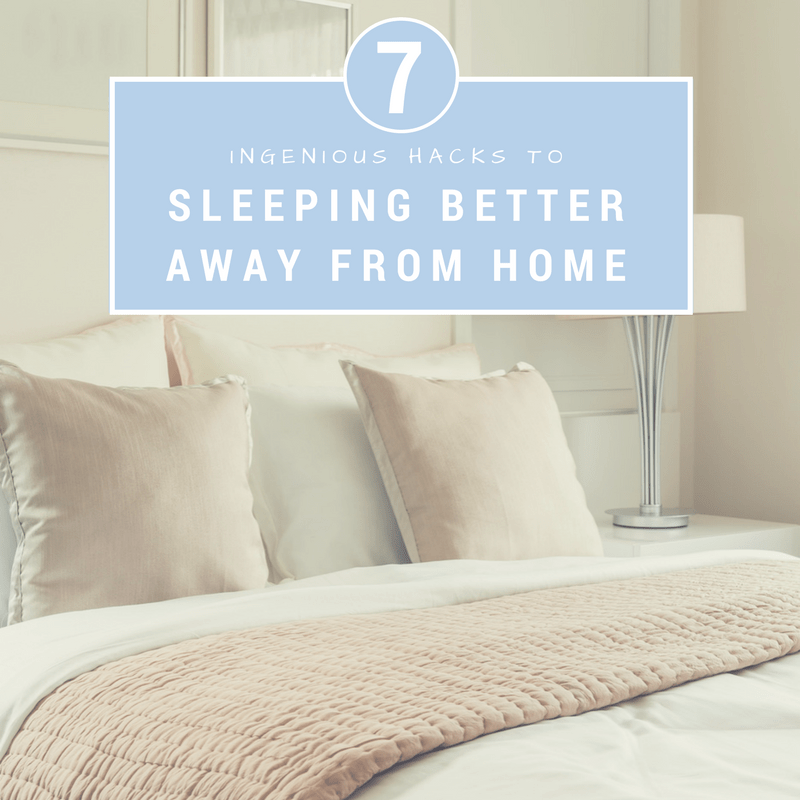 You get the benefits of a white noise machine, an essential oil diffuser, a humidifier, and, for the kids, it’s even a night light. I’ve only recently realized how powerful essential oils are. I don’t fully understand how breathing in certain oils can wake you up or make you sleepy, but I know they’re powerful and they work. I’ve finally gotten the right essential oil sleep recipe. I load it in my diffuser, and after a few minutes I’m out like a light. The Quantum machine has a high quality speaker, and has three sound options: ocean waves, running water, or soft piano music. The white noise option only has an on/off function, no timed shutoff. However, when the diffuser runs dry, the whole unit will shut off as a security measure. For the white noise purists out there, nothing can beat the sound of a running fan to knock them out like a light. But fans aren’t always practical. In the winter, having a fan run on high can be too breezy. And lugging a box fan with you on vacation isn’t really practical. 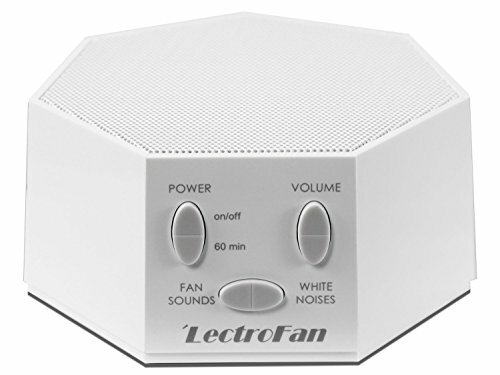 These fan white noise machines for sleeping do nothing but give you pure fan white noise for your sleeping pleasure. They are small and compact, so they’ll take up less space in your room and be easy to take with you on trips. When you have insomnia, you try a lot of things to get to sleep. 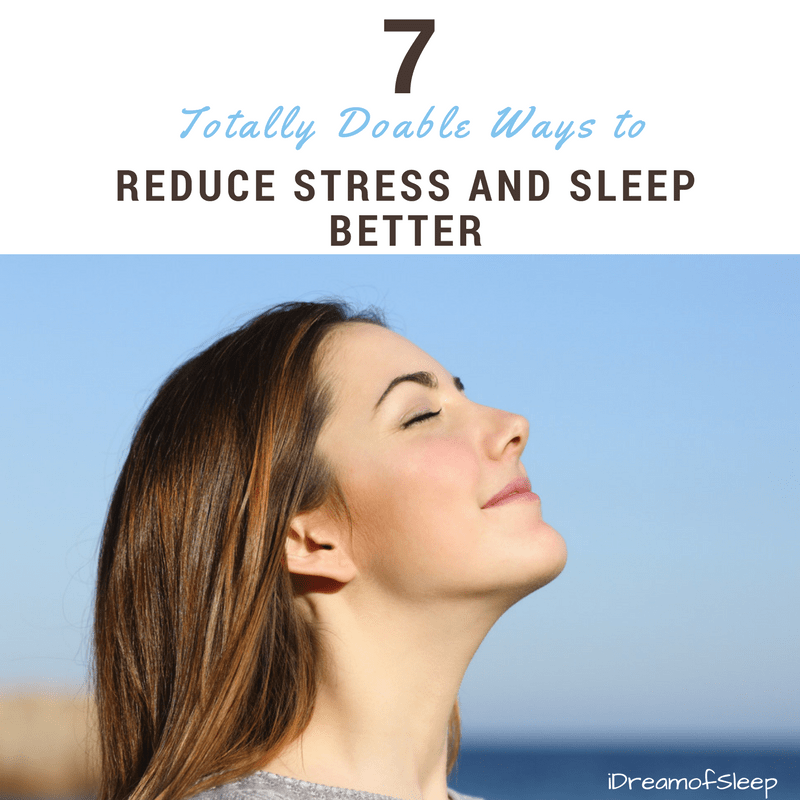 At first I tried commercial over the counter products, but after having trouble sleeping for an extended period of time, I began to look for more natural remedies. I think most of us who have insomnia eventually turn to natural sleep remedies because nothing else seems to work. 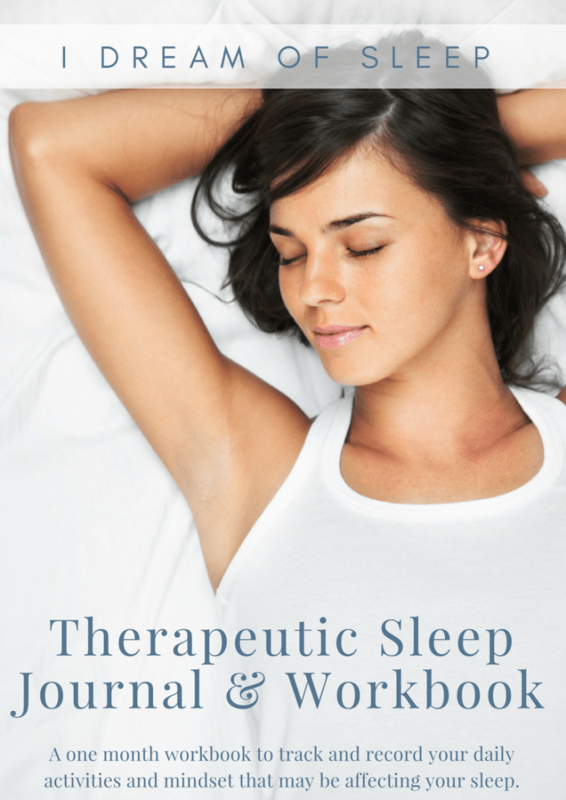 Maybe it’s natural sleep aids, or maybe you’ve found natural sleep aids that work for you. But sometimes all you need is something simple to lull you to sleep. 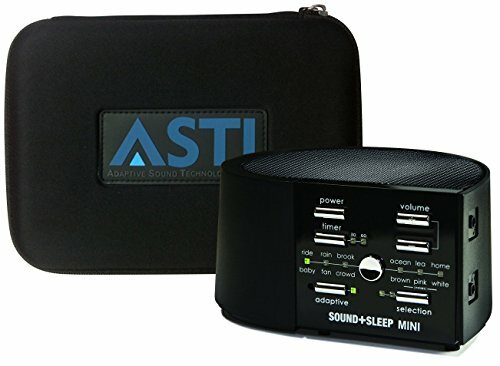 Sound machines for sleeping are the ultimate natural sleep aid. No drugs. No side effects. Just pure sleep. 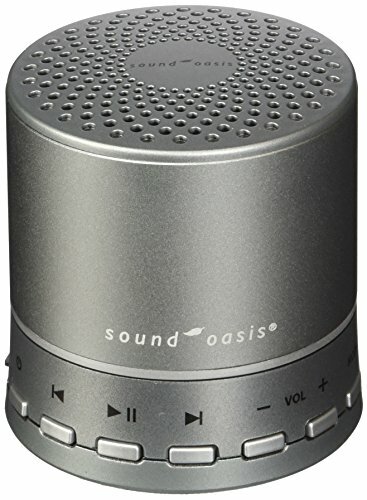 These little machines are a godsend when you have noisy neighbors or neighbors that work a different schedule than you! Definitely! Or even if you had a noisy roommate. This is interesting. My children always liked sleeping with the overhead fan turned on, even in winter because of the white noise the fan generated. They say white noise uses every frequency, and it’s why our brains like to hear it. Not sure how it works, but it does. 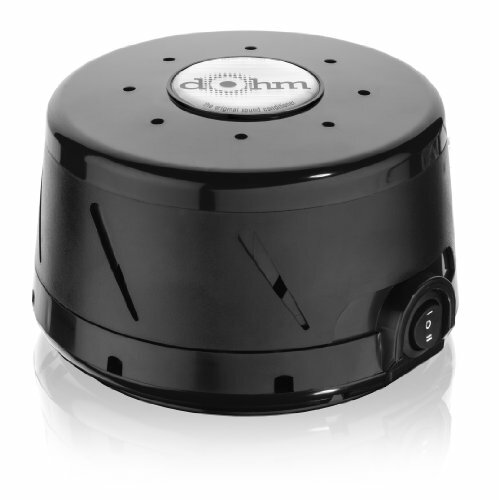 We have two of those DOHM white noise machines. I liked the one I bought for myself so well that I bought one for my daughter. She is blind, and doesn’t like hers because when it is on she can’t hear what is happening around her. That’s how well they work! My husband can stay up and watch action movies (think car chases, people screaming, things blowing up) and I can go to bed. His television doesn’t keep me awake anymore. We live in an urban neighborhood. The neighbors’ front door is right next to our bedroom window. They go in and out all night. It used to wake me up. 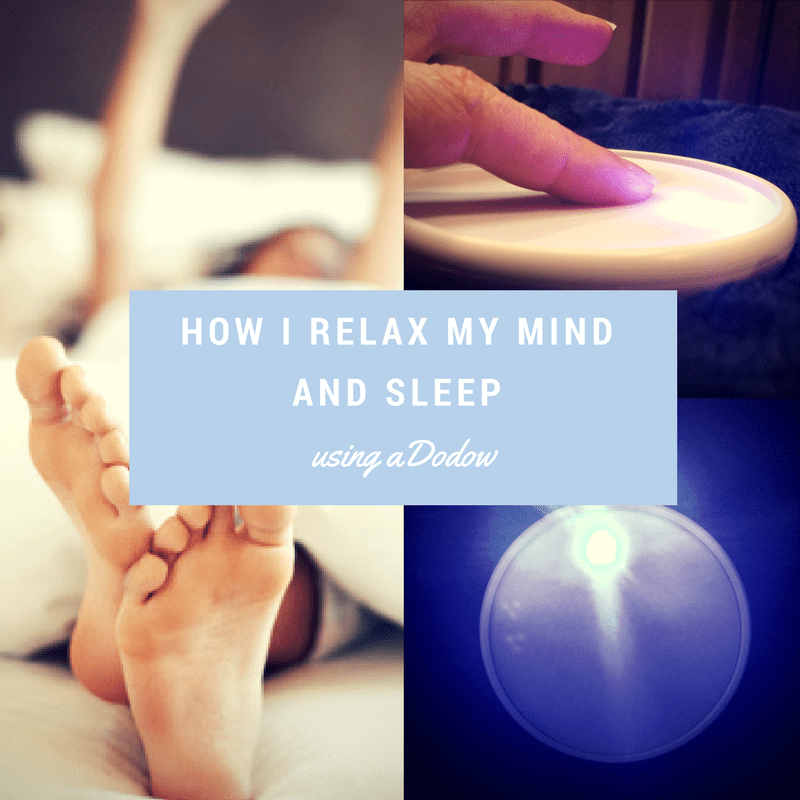 Since I started using the DOHM, I sleep like a baby all through the night. If you are awakened by environmental noises, I highly recommend this product! I only wish I hadn’t waited so long to buy it. It was probably the best investment I have ever made in my health and well-being. 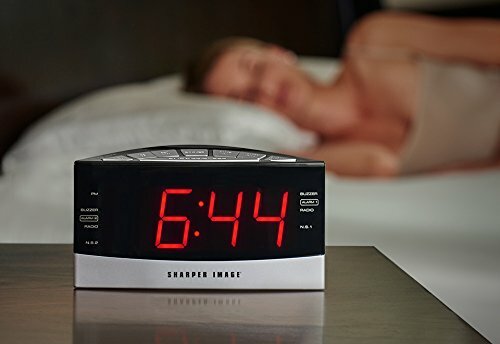 Wow, your family is a poster child for how well white noise machines help for sleeping. I definitely couldn’t live without mine. 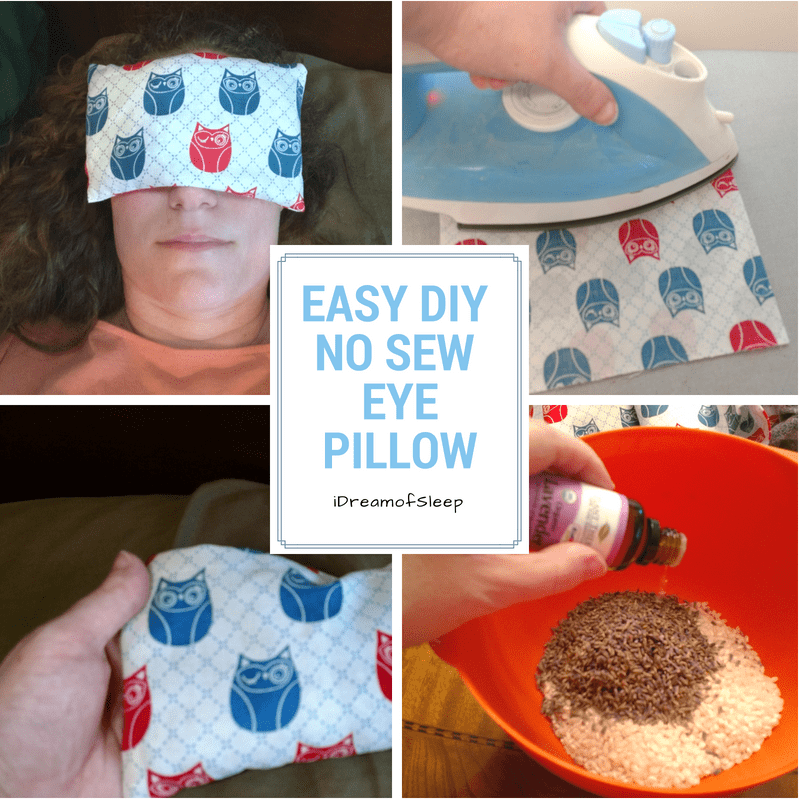 I really like to use it if I’m taking a nap during the day.